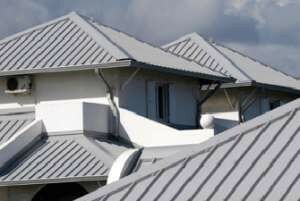 Before you call the first local roofing contractor you find, make sure you’re dealing with a trusted and experienced company, one that is fully committed to taking great care of you and your roof. 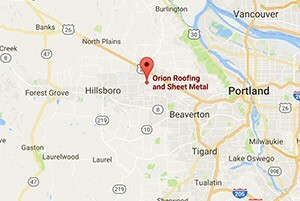 Orion Roofing & Sheet Metal has been handling roofing in Portland, Hillsboro and the surrounding areas since 1993. We are a GAF Master Elite, GAF Weather Stopper, CertainTeed SELECT ShingleMaster, and IB Roof Systems certified roofing contractor. We have also received Angie’s List Super Service Award five times in addition to Home Advisor’s Elite Service Professional Badge. 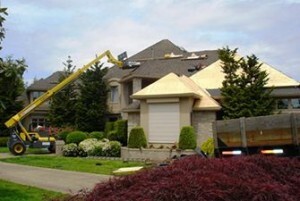 Whether you need a roof for your home or your business, we guarantee you’ll be well taken care of. We’re confident that each aspect of this mission is displayed in every roof installation we perform for our residential and commercial customers. 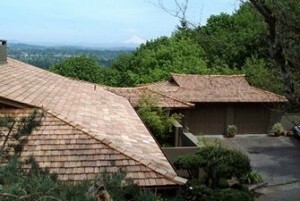 The next time you need a reputable roof contractor in Portland metro area for a roof replacement, call Orion Roofing & Sheet Metal at (503) 690-1807. You may also submit a Contact Us form. Great team & great guys to work with! Good clean work at a reasonable price. We feel confident about the quality of the work and the cost as well. Timely and knowledgable. Excellent managers & installers. Responsive to questions & concerns. A pleasure to work with! These guys fixed our roof (we had a warped truss) in less than a day and for an extremely reasonable price. I definitely recommend them! The crew was on time and very professional. We appreciate the clean up effort each day.